Violet, 2 years old. 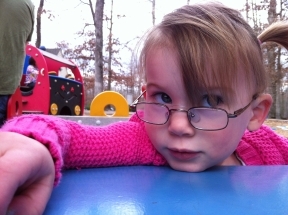 She wears glasses for accommodative esotropia. Glasses are Easy Twist.